I can see the pain I have endured, the mistakes I have made, and the hard times I have suffered. 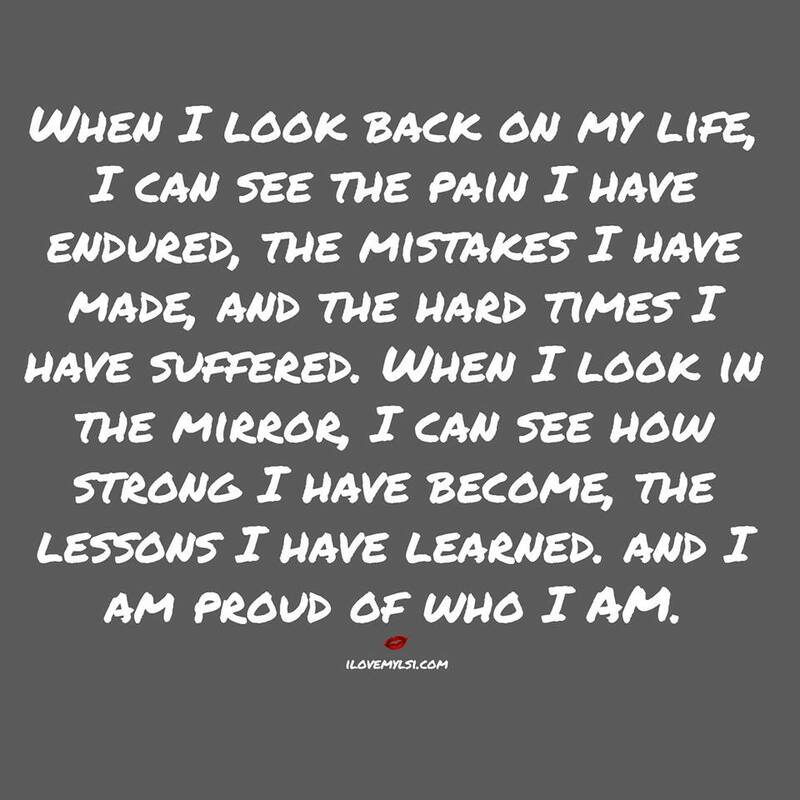 When I look in the mirror I can see how strong I have become, the lessons I have learned. And I am proud of who I am.